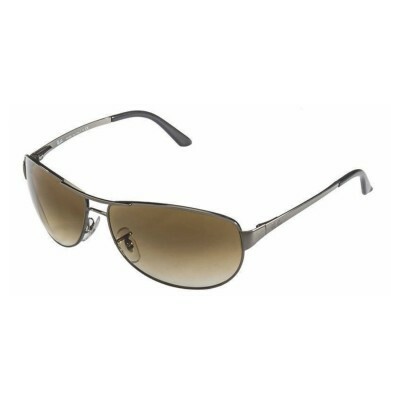 A stalwart of the Ray-Ban sunglasses collection, Ray-Ban RB3342 Warrior are a great addition to any outfit. Ray-Ban RB3342 Warrior sunglasses come in a variety of trendy colors. This particular model color is Gunmetal Grey made from Metal . The Brown Gradient lenses match well with this frame and are made from Glass to effectively provide your eyes from the sun.